Light not only bounces off surface it goes through some of them often slowing down and changing direction in the process called refraction. It occurs at the point where light travels from one medium to another of different density. Refraction produces mirages and rainbows. 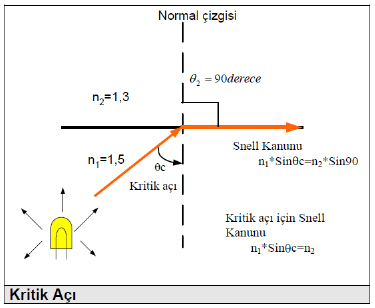 In some cases when the light enters the from a less dense medium to higher dense medium angle, the refraction angle is 90 degrees and it is called the critical angle. 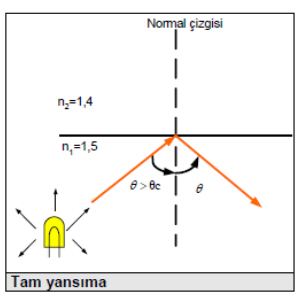 What actually happens is that when the angle of incidence θi is less than the critical angle, there is both a refracted beam and a reflected beam. 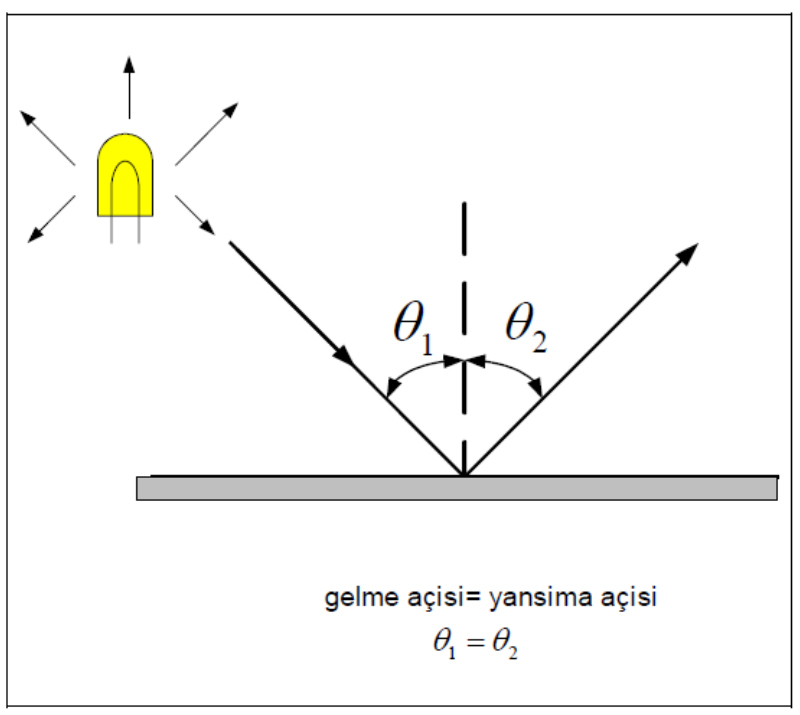 As the angle of incidence increases, the strength of the reflected beam becomes stronger at the expense of the refracted beam. When the angle of incidence passes the critical angle, the refracted beam and the reflected beam become one, giving total reflection. Core: Fiber made of pure glass throught which the light passes. The diameter of the core is fairly small relative to the cladding. Typically, the cladding is ten times thicker than the core. 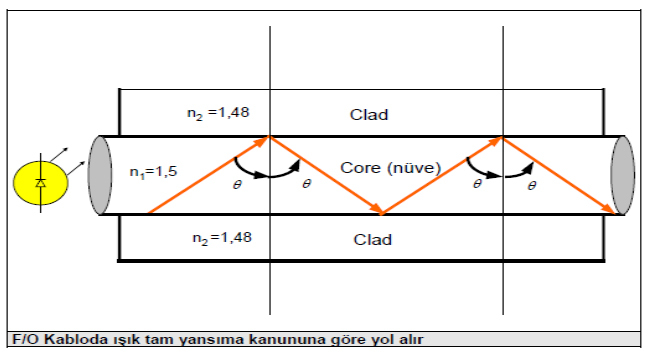 Comparing the output pulse and the input pulse note that there is little attenuation and time dispersion. The diameter of the core is fairly large relative to the cladding. Note that the output pulse is significantly attenuated relative to the input pulse. It also suffers significant time dispersion. 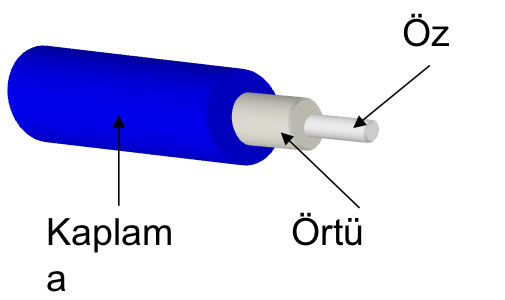 The higher order modes, the bouncing rays, tend to leak into the cladding as they propagate down the fiber optic cable. They lose some of their energy into heat. This results in an attenuated output signal. Consequently, they do not all reach the right end of the fiber optic cable at the same time. 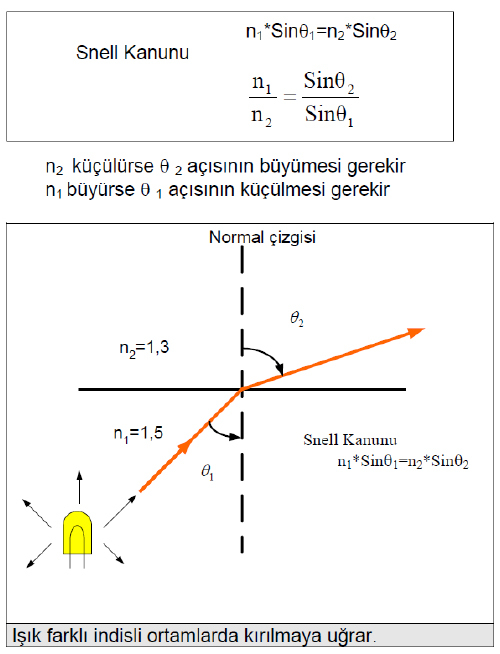 When the output pulse is constructed from these separate ray components the result is time dispersion. There is no sharp discontinuity in the indices of refraction between core and cladding. The core here is much larger than in the single-mode step index. 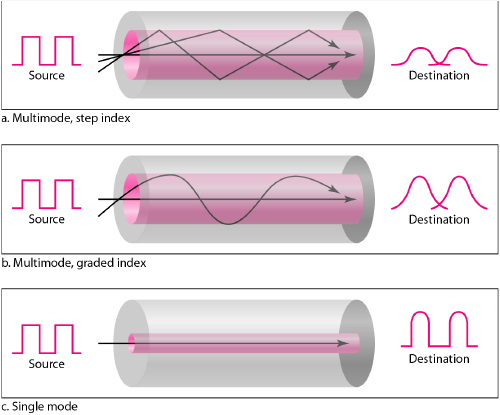 When comparing the output pulse and the input pulse, note that there is some attenuation and time dispersion, but not nearly as great as with multi-mode step index fiber optic cable.